If you are like most people, you may have been told to consume a certain quota of water per day, without being told why. You may recall a doctor telling you to consume at least 64 ounces of water per day. The Institute of Medicine recommends that men consume 104 ounces of water daily, at a minimum. What is commonly missing from these recommendations, however, is the reason behind them. Keep reading to discover some of the numerous health benefits behind these recommendations. You may already know that the human body is at least 60% water, but you may not be aware that the exact percentage is variable. This is because the body has developed particular survival strategies. Namely, if the body feels that water is not readily available, it will hold on to more water than is otherwise necessary. This means that if you are chronically dehydrated, your body will try to make up for it by having you carry around extra water balloons worth of body mass. So, while it may seem counterintuitive, constantly staying well-hydrated will help you keep a trim figure. Why has morning breath earned its own nicknames, like “dragon breath?” It may be ascribed to special chemical processes that occur only during sleep, but in reality, it’s lack of hydration or mouth dryness. (You may be thinking of drool as a counter-argument but remember that drool only occurs at the border between consciousness and sleep; during the deeper levels of the sleep cycle, drool stops.) Have you noticed that on nights when congestion is severe enough to eliminate the nostrils as a viable airway, morning breath is even more pungent? This is because the increased flow of air through the mouth dries out its surfaces, which inherently leads to foul-smelling breath. If you have noticed a tendency toward halitosis, or you have a date coming up, remember to stay hydrated. 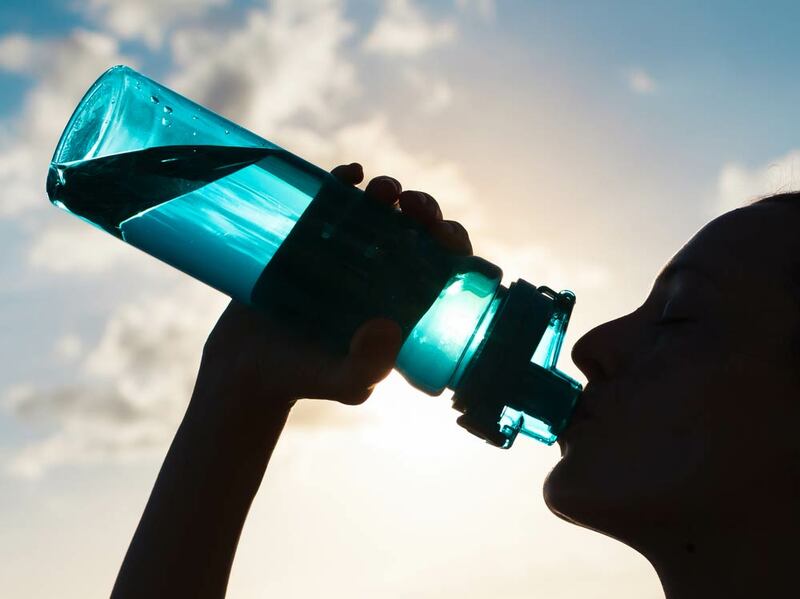 As destructive to physical well-being as joint damage can be, and as much money is spent on joint repair or replacement treatments, it is important to remember that water helps protect joints and cartilage. This is because cartilage is composed mostly of water. The water in your body is what helps you achieve homeostasis because compared to many other materials in the human body, water is the ablest to hold or moderate temperature. In this way among others, adequate hydration can make people more comfortable. Though a migraine, sinus, and tension headaches have different causes, hydration affects all of them. Migraine sufferers may notice a decrease in the frequency of migraines with increased or more regular water intake, water helps blocked sinuses clear up, and muscles become tense without adequate hydration. Rehydrating can stop some headaches in less than an hour. Imagine a sewer system. The key element in ushering materials through the tunnels is water, so a sewer that isn’t equipped with an ideal water supply will get backed up. Any pumps in place will have to work harder to push less viscous or even solid materials through relatively narrow passageways. Now, remember that blood is made mostly of water, the heart is a pump, and the arteries and veins are impeccably narrow. Return Also remember that poor hydration contributes to constipation and abnormally hard stool. This is because when water is running short, the body pulls water from the bowel to aid in other areas. Water is necessary for the dissolution of certain nutrients and their use within the body, as well. Sufficient hydration eases the body’s essential tasks and leads to a greater sense of overall well-being. Clean water’s role in alleviating sickness is evident in two main ways. One is that water is necessary for maintain bodily functions while performing chemical reactions essential to the immune system, and the other is that it plays a pivotal role in eliminating foreign microbes through bodily fluids. Increased intake of water may lubricate struggling sinuses, allow more toxins to escape through sweat glands, and help the body flush out undesirable presences via urine, which means that those who are dehydrated may be inadvertently prolonging the hold of sickness on the body. Being so highly composed of water, it should come as no surprise that the body uses water to fulfill a vast number of purposes. All of these purposes, however, are not equally detrimental to survival. This means that if your body does not receive enough water, it will begin to prioritize some, like catalyzing chemical reactions needed for survival, over others, like keeping skin supple and healthy. Well, hydrated people appear more youthful, later into life. Because water is also important to the process of removing toxins from the body, drinking more of it can only be helpful. Another way the body may remove toxins is through pores in the skin, which often results in acne and other topical blemishes; drinking eight 8-oz. glasses of water per day, or 104 ounces as per the Institute of Medicine, could help prevent such topical blemishes. If none of the other benefits listed above is convincing, consider its effect on happiness. Studies have found that even slight dehydration can negatively affect mood. Consuming water can also decrease feelings of lethargy and improve focus, so having water on hand during meetings and while driving can make people safer and more productive. Studies also show that people are at their most coordinated when they have had plenty of water.